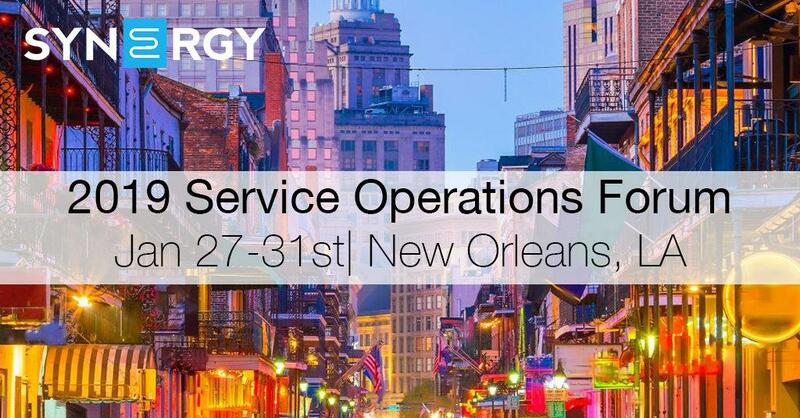 Join Synergy Solution Group in New Orleans on January 27-31st for the 2019 Service Operations Forum. The session will focus on the people, processes, and technologies Synergy members utilize within their organizations. This year’s session will incorporate interactive, large group discussions, small peer-to-peer breakouts, Synergy Showdowns, and a Partner Fair. You’ll learn new ways to strengthen relationships between the office and the field, hear ideas on how to maintain the same level of service as you grow, and more! Synergy has contracted a block of rooms with the Loews New Orleans at the discounted rate of $199/night. Once you’ve completed the registration we will add your name to the rooming list and will make your room reservation for you. A week prior to the meeting you will receive an email containing your hotel confirmation along with other details for the session. Attendees should plan to fly into the Louis Armstrong New Orleans International Airport (MSY), which is around 25 minutes away from the hotel.